Q: Can I just ignore the fee schedule? I’m non-participating anyway. No. Ignoring the fee schedule amounts to breaking the law, whether you’re participating (par) or non-participating (non-par), and you would be subject to a $10,000 fine. Non-participating does not indicate that you do not have to pay attention to Medicare rules and regulations; it only indicates your billing status. Q: Who do I contact for the latest information on the fee schedule? It's always so confusing at the end of the year. It depends on what you're looking for. If you're simply interested in the proper fee schedule amounts, ACA recommends that you always contact your individual Medicare carrier or administrative contractor. 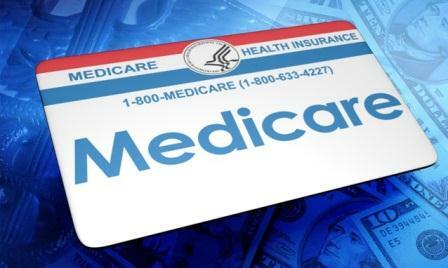 Many of them have excellent websites that have pages with the latest, most accurate information on Medicare fees for your particular geographic area. And remember, if you are a participating provider, you have the advantage of being able to enter any fees you wish when billing Medicare and the carrier will adjust the amount to reflect the current allowable fees determined by the fee schedule. Q: Could you provide a complete explanation of par fee allowance, non-par fee allowance and limiting charge? When you choose to participate with Medicare, the par fee allowance is the maximum amount you can charge a Medicare patient for the given service. If the deductible has not been met, the patient will pay you the full amount. If the deductible has been met, then Medicare should pay you 80% of this allowable and you will collect 20% from the patient (or a secondary). Any difference between your normal full fee and the par fee allowance will be “written off.” However, one advantage of participation is that you can still bill your regular fee to Medicare, alleviating the need for different amounts in a billing computer. Medicare automatically pays the par fee allowance, knowing you have agreed to accept this amount, and there is no penalty to you. This is 95% of the par fee allowance, and since you choose not to participate with Medicare, this is the fee Medicare will use to calculate reimbursement. If you do not accept assignment on the claim, Medicare will reimburse the patient 80% of the non-par fee allowance. If a non-participating provider accepts assignment, he/she must accept the non-par fee allowance as payment in full. This charge is the amount that non-participating providers are “limited” to charge for that service. The amount is 115% of the non-par fee allowance. This applies only to non-participating providers. You may never charge a Medicare patient more than this amount for any reimbursable Medicare service. If you send higher amounts into Medicare, they will appear on a Medicare Limiting Charge Exception Report (LCER) and reflect negatively on you. One exception to this rule exists, however: You are allowed to round the limiting charge to the nearest dollar without penalty, as long as you round consistently. Q: Can I change my Medicare Participating status? Yes. There is only one time per year when a provider can make changes to their Medicare participation status. The annual open enrollment period, which is approximately 45 days in length, generally runs from mid-November through December 31. During the open enrollment period, if a par-provider wants to become non-par, he/she must submit notification in writing, preferably on office letterhead, indicating their intent to voluntarily discontinue their Medicare participation status. Otherwise, the par-provider status will renew automatically each year.